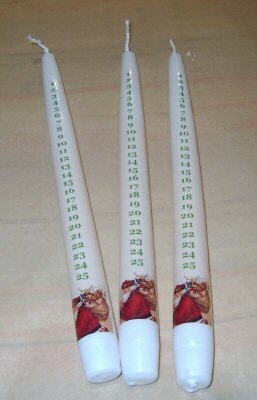 Traditional advent dinner candle with days down the outside to mark the days until Christmas from the start of December, Styles may vary. Aprox 10" high. (dinner type candle size), hand made. (burn the candle each day until it gets to the next number), Choose design from drop down box.